I discovered I had eczema as a young girl. I only dealt with occasional flare ups so I never gave eczema much thought until I got older. I began to notice as I got older, my flare ups were becoming more frequent and intensely itchy. Since the goal of treatment for eczema is to relieve and prevent itching, I decided to look for simple, natural ways I could lessen my flare ups and remain itch-free. 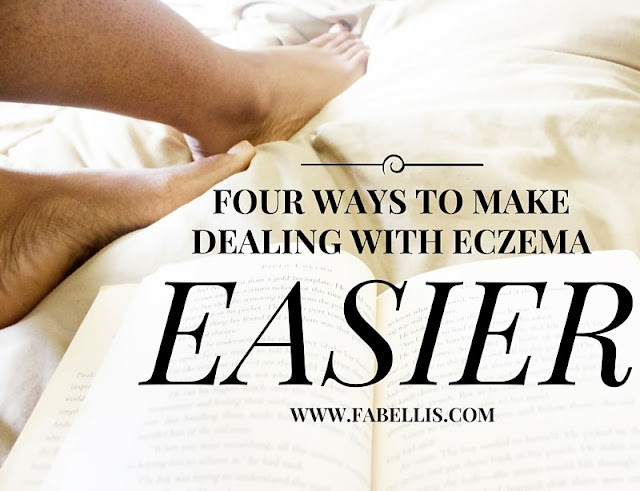 I know eczema is different for everyone, but I'm happy to share four ways I have reduced my eczema flare ups and made life less itchy. 1. Use all natural or gentle soaps and body washes. Just like many ladies, I love the fragrances of soaps and body washes found at Bath and Body Works, Victoria's Secret, etc. ; however, I read that one of the best ways to reduce eczema is to stay away from dyes and fragrances. 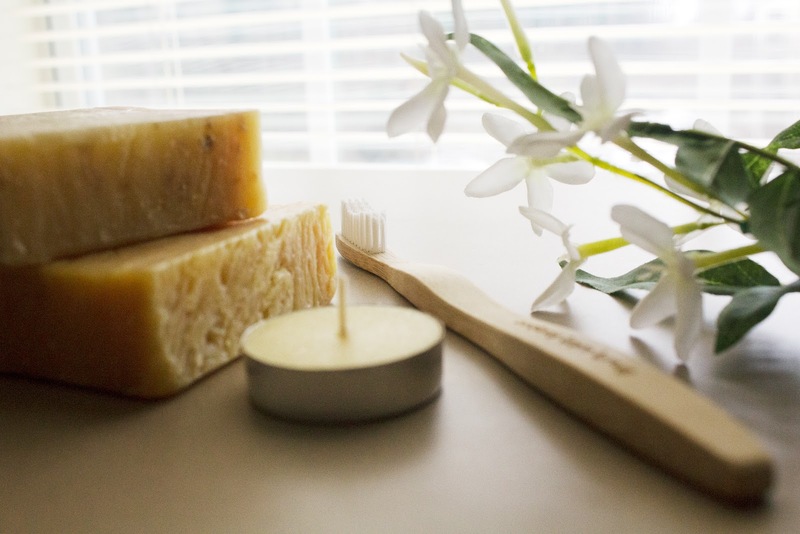 Instead of scented soaps and body washes, I switched to using all natural soap like Shea Moisture Raw Shea Butter Soap or gentler soap, such as Dove Sensitive Skin Body Wash. Both lather extremely well and leave my skin visibly soft and moisturized. Plus, they are easy to find. I don't have to purchase online. I can run to my local drugstore and scoop them up. 2. Moisturize skin immediately after showering. During my last physical, I took the time to ask my doctor what she would suggest to reduce my eczema flare ups. She suggested that I moisturize my skin while it's still wet when I get out of the shower or immediately after I dry myself. I've done both methods and they both work great. Due to my rushing in the mornings, I found that moisturizing my skin while it's still wet is easiest for me. I typically slather on Jergens Wet Skin Moisturizer then pat myself dry. My skin is visibly shiny and feels great. 3. Use laundry detergent with no dyes or perfumes. Knowing that it's recommended to stay away from dyes and perfumes, I felt it made the most sense to change our laundry detergent. My mom used to use Tide Free and Gentle when I was younger, but for awhile, it was hard for us to find it in stores. My husband was able to find it a few months ago and we've been using it ever since. I miss the scent most laundry detergents give freshly washed clothes, but I'll take itch-free skin over that any day. 4. Watch your diet and drink water. Now this step may be a bit debatable to some, but let's be honest. When you eat right and drink at least eight glasses of water a day, your body appreciates it. If you follow me on Twitter, you may have seen that my husband and I began living a healthier life over a month ago including eating clean the majority of the time. My body has immediately responded in a good way. Not only is my skin clear and glowing, but it's been less itchy. In fact, I've only had one flare up in the past few months. I have read others say that when they began living healthier and lost weight, their eczema disappeared. In my mind, that makes sense. When I was younger (and smaller), I rarely had eczema flare ups. Since getting married and gaining some weight, my flare ups began happening on a regular basis. I can't wait to see what will happen when I get to a smaller size. What do you think of these tips? What tips do you have to share to make dealing with eczema easier?